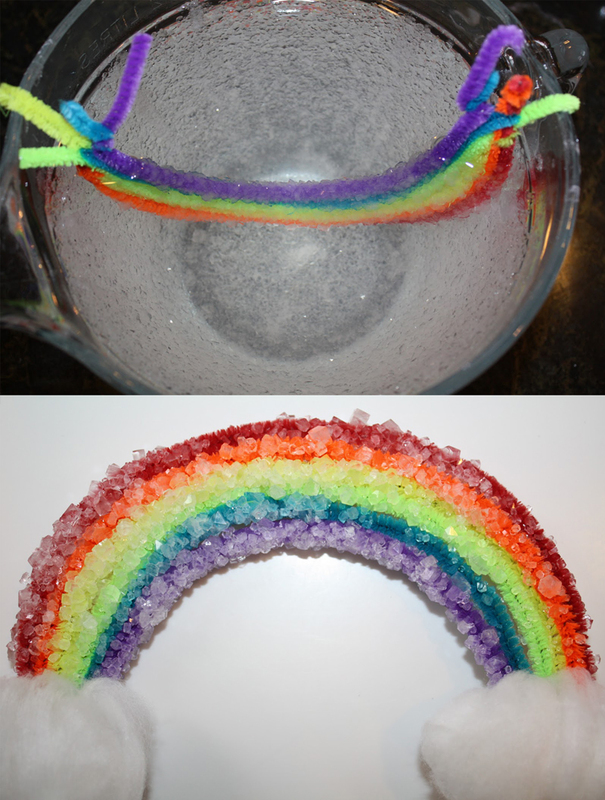 Sweet and Simple Things made a pipe cleaner rainbow and crystallized it in borax solution! Click here to see how they did it! You can crystallize any shape or color in borax solution! You just need pipe cleaners. Borax does the rest, creating polymer crystals! Click here to see original post.